To get past MAC address filtering on a router or firewall. For sniffing other connections on the network. To keep your “real” MAC address out of traffic and security logs. To pull off a denial of service attack by assuming the MAC of the gateway. There are also a slew of other reasons for needing to change your MAC address. For some time, my QuickBooks Pro software would freeze (and ultimately have to be terminated) when ever I would attempt to “reconcile” my bank statement. 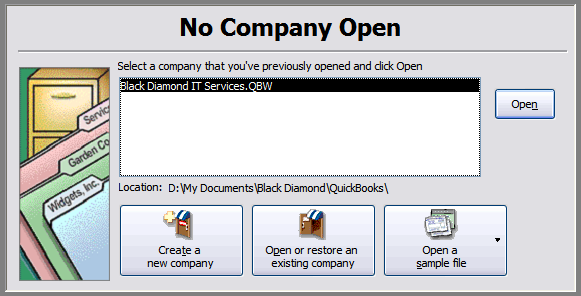 Additionally, when printing from other programs I would find that my computer’s default printer had been inexplicably changed to the “QuickBooks PDF Converter” device. Following are the steps I took to correct both these issues. If you have ever installed Windows XP, you know that Microsoft requires you to “activate” Windows. This is usually done with the help of a guided program that runs automatically after Windows starts for the first time. If you are reinstall windows on the same computer, you may have to complete the wizard again. If you re-install Windows multiple times, you may ultimately be prompted to call Microsoft to active your Windows installation. To avoid re-activating Windows, you can backup your current Windows activation before reinstalling with the following steps. This will only work if you are reinstalling Windows on the same computer. All versions of Windows store crucial system and program information in the registry. On some versions (Windows 2000 and NT), the size of the registry is restricted by a setting. If the registry size reaches this maximum set value, an error will be displayed. If you are running Windows 2000 or NT, you can manually increase the maximum registry size. See this article for details. You try to open/view/edit/delete a file which has already been moved or deleted. 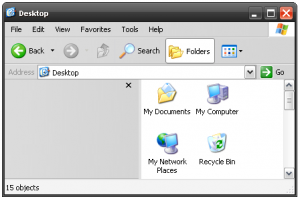 You try to delete a file (or folder) which is still present on your computer. In the first case, the solution is simple, return the file to its original location. However, if you get the error when trying to delete a file or folder which does exist, keep reading for a fix. I opted for a download only version of Microsoft Office 2007 for a discounted rate. Ever since I first tried installing Office 2007, the installer gives me error messages about not being able to find files. At first I wrote these off to a poorly designed conversion from the CD media Office normally comes on to the single files installer available for download. Unfourtunatly, a Google search revealed many people, using many different install sources, experienced the same problem. During the initial installation, or when doing a repair install, the Office installer will complain that it “cannot find proofing.en-us\proof.en\proof.cab”. It may also have problems finding “proof.es” or “proof.fr”. Anything you do results in either another error message or the install being cancelled. Many people rely on Outlook Express to send and receive e-mail. One of the most common issues with Outlook Express is that it will fail to handle “mailto:” links on web pages correctly. Clicking an e-mail address in a web page may open a blank window, present an error message, or not respond at all. In any case, the following steps will usually fix the problem. To play a media file you need two things (in addition to the media file itself obviously): a media player and a media codec. Most of you should have a player already. All versions of Microsoft Windows, in fact, include a media player known as Windows Media Player. There are also plenty of alternative players, namely “WinAmp” and “VLC”. These media players include codecs for some of the most popular media formats, MP3, WMV, etc. But there are thousands of other media formats out there and to play them you’ll need the right codec. All of these mean the same thing. The file is in use by a program, and you can’t delete it until that program is closed. What do you do then when there aren’t any programs actually using the file? Process Explorer is like Window’s Task Manager on steroids, and then some. If you’ve turned on your computer, only to receive a “Unmountable boot volume” error followed by a restart, this guide is for you. This error occurs when Windows can’t access the drive crucial system files are on. Spyware or virus infections can cause this issue, in addition to hardware failures. Most commonly though, the issue seems to arise randomly. What is the Difference Between Hubs, Switches, And Routers? May 26th, 2008 · Comments Off on What is the Difference Between Hubs, Switches, And Routers? If you are setting up a network of more than two devices, cahnces are you will be confronted with all three of these terms. Hubs, switches, and routers are are crucial network components, and they each perform a unique role. Mix them up and your network won’t operate efficently…or at all. So jsut what is the difference between a hub, a switch, and a router? And what are they used for? Comments Off on PHP Invoice SystemPosted in: Downloads · Misc.